Figure 3.12. Reactions of amino acid activation (1) and acceptance of aminoacyl residue by the tRNA molecule (2), catalyzed by ARSase. 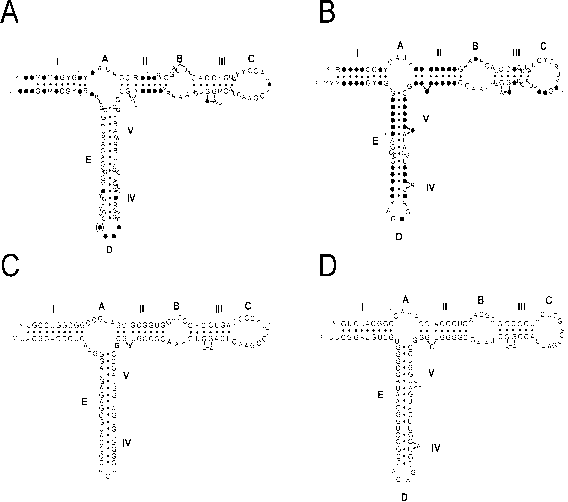 binding of one tRNA molecule makes the binding of the other one less tight. aminoacylation of tRNA by the enzyme and the release of AMP into solution. The aminoacyl-tRNA, when present in a single copy per dimeric enzyme molecule, may dissociate from the enzyme rather slowly, but the binding of the second tRNA molecule stimulates the dissociation. This leads to the cycle shown in the lower part of Fig. 3.13, where one of the tRNA-binding sites is permanently occupied and the enzyme displays the reactivity of only half of its substrate-binding sites ("half-of-the-sites-reactivity"). Under conditions where the enzyme works in substrate excess, the pathway shown in the lower part of Fig. 3.13 is the route that appears to occur. State 1 is exhibited when the active site of one subunit (or domain) is occupied by aminoacyl-tRNA while the other one is vacant. Therefore, only the substrate-binding sites of the other active center of the enzyme are capable of binding substrate ligands. The consecutive or independent binding of the small substrates, ATP, and the amino acid (states 2 and 3) results in the formation of the enzyme-bound aminoacyl adenylate (state 4), which in turn stimulates tRNA association with the second active center of the enzyme (state 5). Because of the negative cooperativity mentioned above, the binding of tRNA with the second active center weakens the holding of aminoacyl-tRNA in the first binding center; as a result, this aminoacyl-tRNA dissociates into solution, leaving the enzyme with one active center occupied and the other vacant (state 6). Thus, the two active centers of a dimeric (or two-domain) enzyme appear to work alternately. The final product aminoacyl-tRNA is not released into solution immediately after its synthesis has been completed, but "waits" until the second substrate tRNA enters its binding site. It should be pointed out again that the above model is just an example of a possible reaction pathway and cannot be regarded as general.